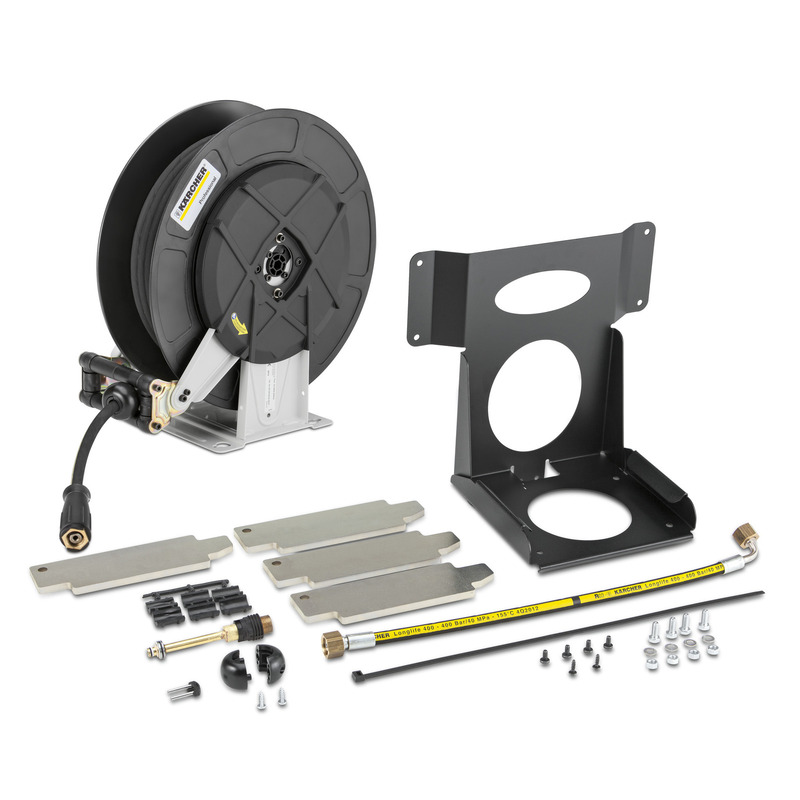 ABS automatic hose reel HDS C 21100120 https://www.kaercher.com/ae/accessory/abs-automatic-hose-reel-hds-c-21100120.html Complete automatic hose reel attachment kit for HDS compact class. Simple installation and all unit functions are accessible. Offers maximum convenience when winding and unwinding the HP hose. Contains: Automatic hose reel, HP hose and all connection parts.